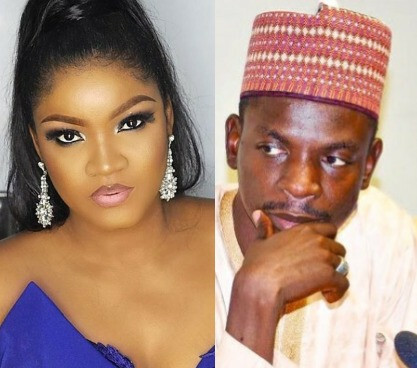 The presidency has reacted to claims by Actress, Omotola, that Nigeria is hellish under President Muhammadu Buhari's watch. It will be recalled that Omotola, in a tweet she posted yesterday, said the country is hell under the watch of President Buhari. She wrote: "The Country Under your watch is Hellish! @ProfOsinbajo @MBuhari @NGRPresident The lack of Money in circulation, Now coupled with the Continuous Assault n Killings by Uniformed men’ll make this Country implode!! !It’s Unbearable! Do something!Insecurity!Fear n Desperation everywhere." However, reacting to her tweet, Bashir in a tweet, stated that those who are making money legitimately have no complain about the current state of Nigeria. He wrote: "Madam Omotola those who are working for CLEAN money are not complaining and will never refer our dear country as ‘hellish’. In Kano State alone, from 2015 to 2018, no fewer than 200 medium and small scale rice milling centres emerged. For that, billions circulated among millions."